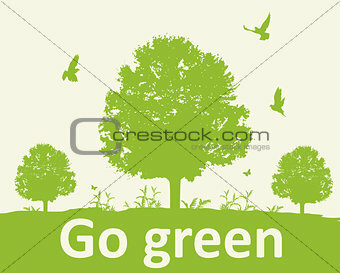 Image Description: Green background with tree and birds. Ecology concept. Go green lettering. XXXL 43.3 x 34.7 cm 17.1 x 13.7"